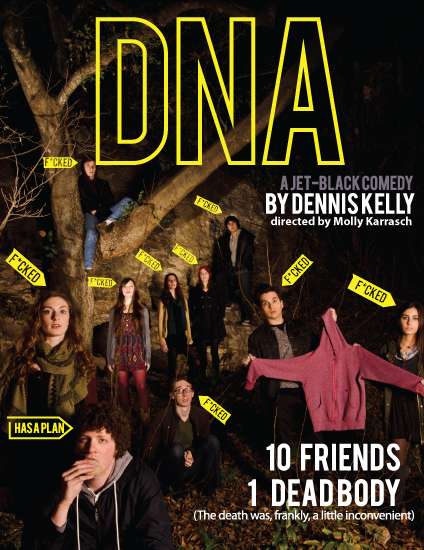 A group of teenagers weave a bloody web of lies in a jet-black comedy by the multi-award-winning writer Dennis Kelly. It seems that covering up a murder isn’t child’s play. A group of peculiar adolescents do something bad, really bad, then panic and cover the whole thing up. But when they find that the cover-up unites them and brings harmony to their otherwise fractious lives, where’s the incentive to put things right? DNA is a poignant, and sometimes, hilarious tale with a very dark heart. Cap T is proud to present the regional premiere of this funny, fresh and tremendously touching play that was a smash hit in the UK. Running Time: 80 minutes without intermission. Dennis Kelly is an internationally acclaimed playwright. Stage plays include Debris (Theatre 503 and Battersea Arts Centre, 2003 & 2004); Osama the Hero(Paines Plough and Hampstead Theatre 2004 & 2005; winner of the Meyer Whitworth Award 2006); After the End (Paines Plough, Traverse Theatre, Bush Theatre, UK and international tour, 2005); Love and Money (Young Vic Theatre and Manchester Royal Exchange, 2006); Taking Care of Baby (Hampstead Theatre and Birmingham Repertory Theatre, 2006; winner of the John Whiting Award 2007); DNA (NT Connections, National Theatre, 2007-8); Orphans(Paines Plough, Traverse Theatre, Soho Theatre and Birmingham Rep, 2009; winner of a Fringe First and Herald Angel Award 2009) and The Gods Weep (Royal Shakespear Company and Hampstead Theatre). In 2009 Dennis was voted Best Foreign Playwright 2009 by Theatre Heute, Germany. Work for radio includes The Colony (BBC Radio 3, 2004; Prix Europa Award – Best European Radio Drama and Radio & Music Award – Scripting for Broadcast 2004) and 12 Shares (BBC Radio 4, 2005). 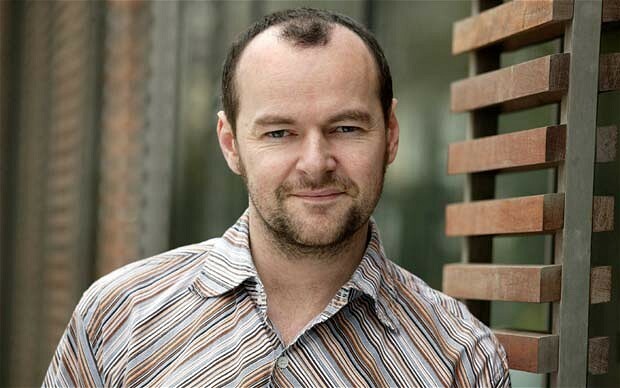 Dennis co-wrote the award winning comedy series Pulling (Silver River and BBC 3, 2006 – 09) and wrote the stage adaptation for Roald Dahl’s Matilda, which won the Olivier award for Best New Musical in 2012.